Dominate the Vocab—Know your Prefixes, Suffixes, and Word Roots! And thus I spent my entire high school career preparing for exactly that. I took honors and advanced placement history and English classes, was on my school’s elite Model U.N. team for three years, and attended the Governor’s School for International Studies the summer before my senior year. I was awarded the Cecil C. Humphreys Presidential Scholarship to the University of Memphis, where I intended to double major in English and Political Science. Then, after my freshman year, I used my mother’s political connections to secure a summer job on the re-election campaign of my local state senator…and hated every last minute of it. It turned out that what I enjoyed in theory, I hated in practice. So I returned to school a little lost and uncertain about my future. I decided to just take the general ed classes I would need anyway, and see if anything struck my fancy. As it turned out, biology most certainly did. My point is this—as a former English major, my proclivity for grammar and etymology—the natural aptitude I had always shown for the language—turned out to be key in helping me master the vast amounts of vocabulary involved in the study of biology. I’ll never forget the time a professor introduced the term “cephalocaudal,” which I had never heard before, and I was able to suss out the general meaning of the word before he elaborated on it, simply by analyzing the word roots. A light bulb went off. This could work beautifully in the classroom. So there is now a permanent bulletin board in my classroom, entitled “Dominate the Vocab—Know your Prefixes, Suffixes, and Word Roots!” Below the title are one hundred common word roots, prefixes, and suffixes. We use this board extensively throughout the entire semester. I refer to it constantly. My hope is to plant a seed that will develop into a habit as my students continue their studies. They can carry this with them to chemistry as they discuss homogeneous and heterogeneous solutions. They can take it into the English classroom when a teacher refers to a particular author as an octogenarian. They can rely on it in history class when a politician is referred to as misogynistic. It’s nice to know that knowledge and instruction in the classroom isn’t always confined strictly to the subject area being taught. Every teacher can rely on their own natural aptitudes—even when they seem so far removed from what they actually teach—and bring it into the picture to help students achieve their full potential. Holly Kesley is a 9th grade Science teacher at Bradley Central High School. 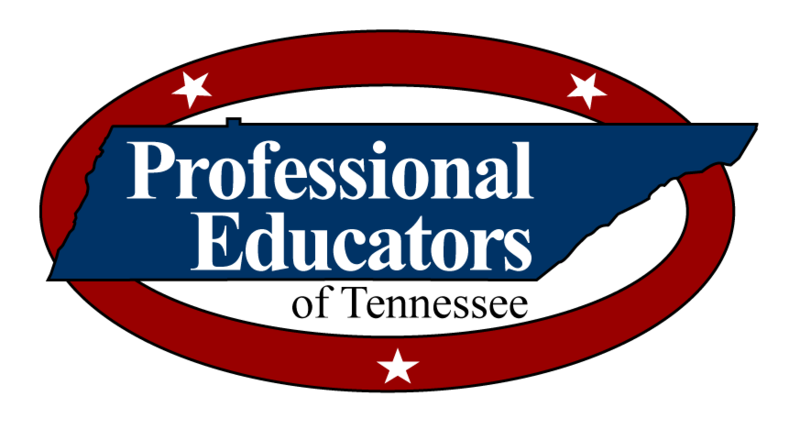 Professional Educators of Tennessee, a non-partisan teacher association headquartered in Nashville, Tennessee. Permission to reprint in whole or in part is hereby granted, provided that the author and the association are properly cited.